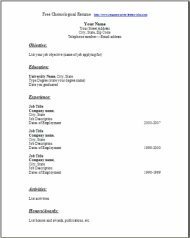 Just fill in the blank resume form with your information from your older resume and you will have the 3 most used formats. Yes, these are easy resumes to fill out. 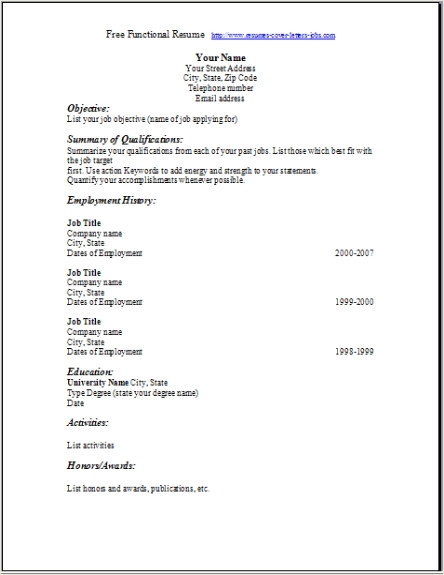 A free blank resume is provided in all three of the most popular formats. They are intended for you to use them as a guide so after you fill in your information, you can choose which format you like best. 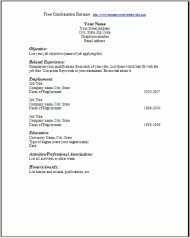 Your job experience will decide which format to use to make your resume stand out. The most used is the Chronological Resume. Choose wisely after you complete all of the three formats, and decide which looks the best. Experiment with them for awhile and you can also change the design to suit your needs. ****Pass the website on to your friends now. .
Go ahead and give your friends a shout where you found your formatted resume for free. Download a resume--click save--do not change file name. It will be a lot easier to find there, so you can edit it later. 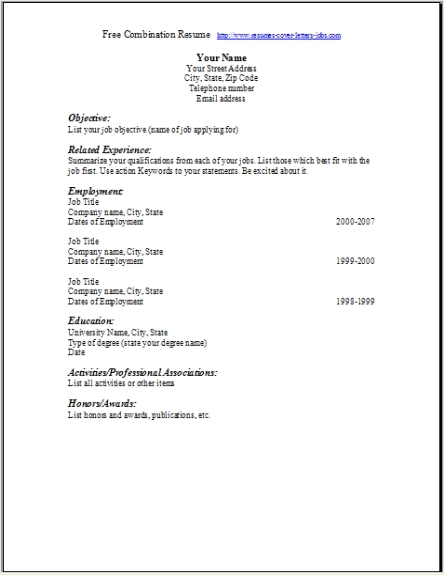 These are 3 favorites of the blank resume formats that will be used most when you are creating your personal resume. I like the formatted look it has. It has a great professional appearance, but doesn't over due with the design. Most of your information will stand out, that makes the hiring managers' job easier since they won't have to look for the information to hard. When you hold it up in front of you, your qualifications just pop right out at you. Because, that's what I am wanting your final end results to become, once you do edit this resume with your job positions information. I hope that you will find all these blank resumes useful. I also hope you successfully land the job. Please tell your friends about this website, and leave some comments on the contact us page if you like. 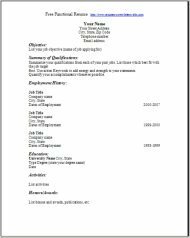 The free blank resume template that is above is a recent addition and I know you will like my choice of downloading all 3 most useful professional blank resume formats. Some people love Chronological, I know I do too. If you are downloading more than one of our free templates, then send me a comment via the contact us webpage. I would like to here from you. 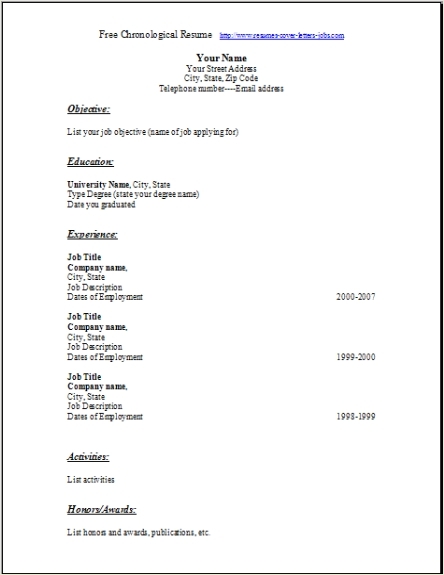 Return to Free Resume Templates home page.